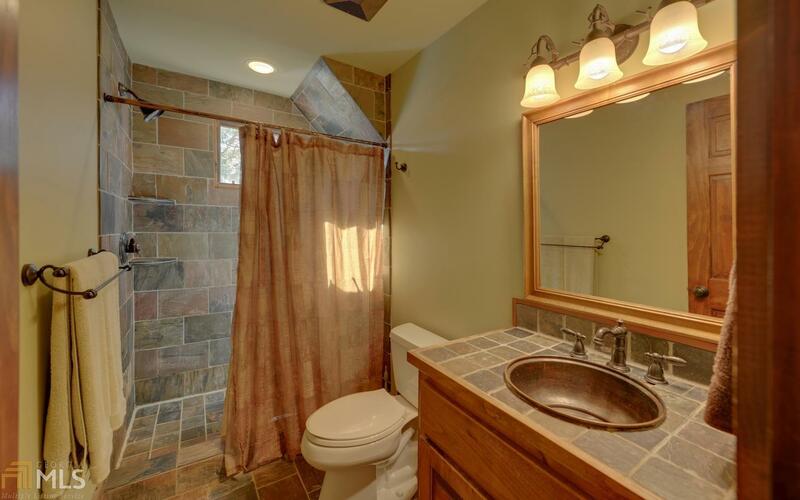 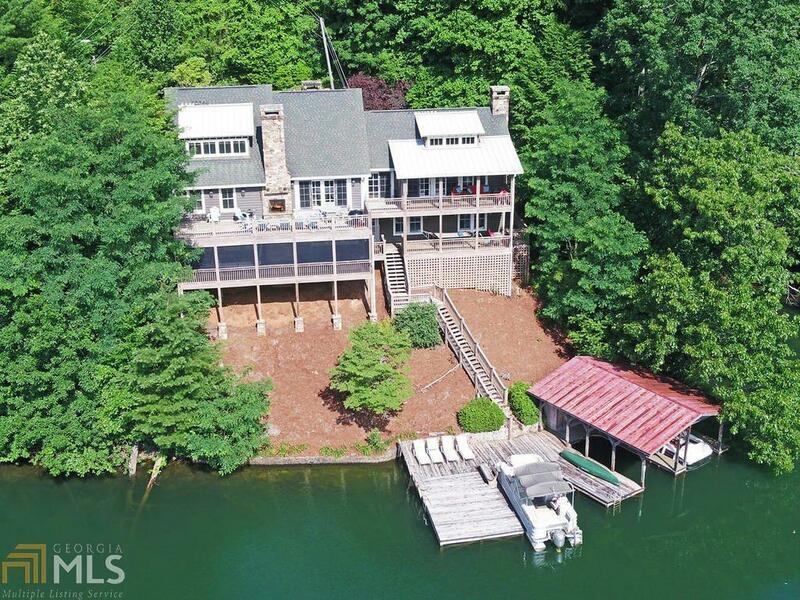 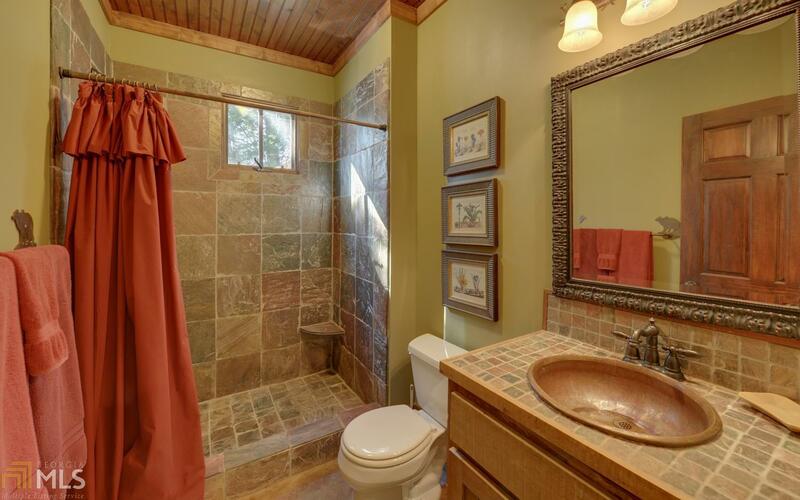 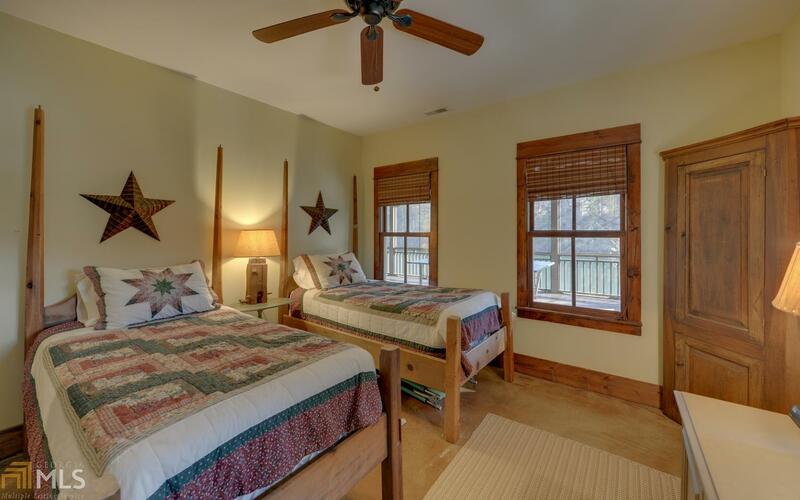 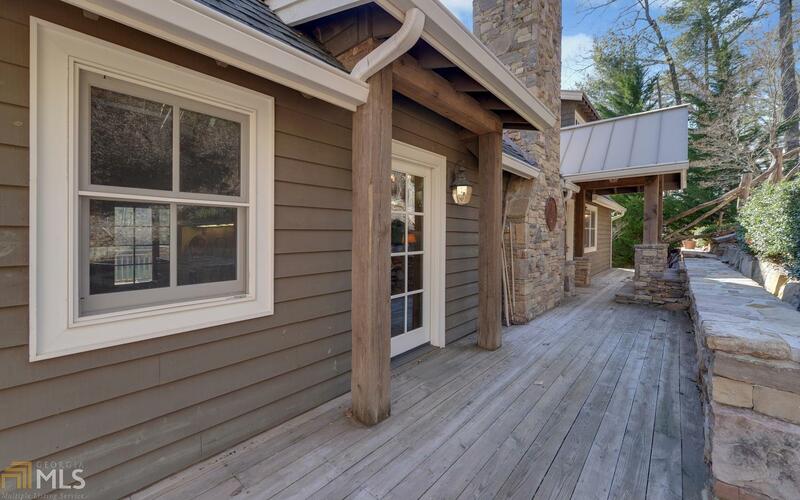 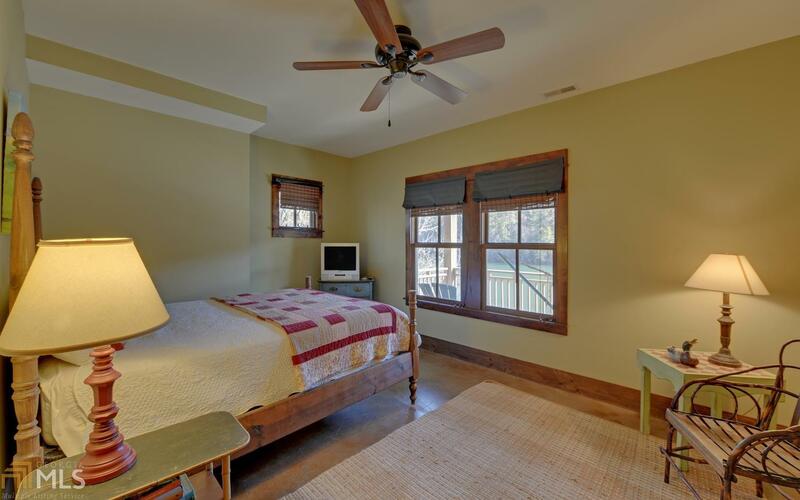 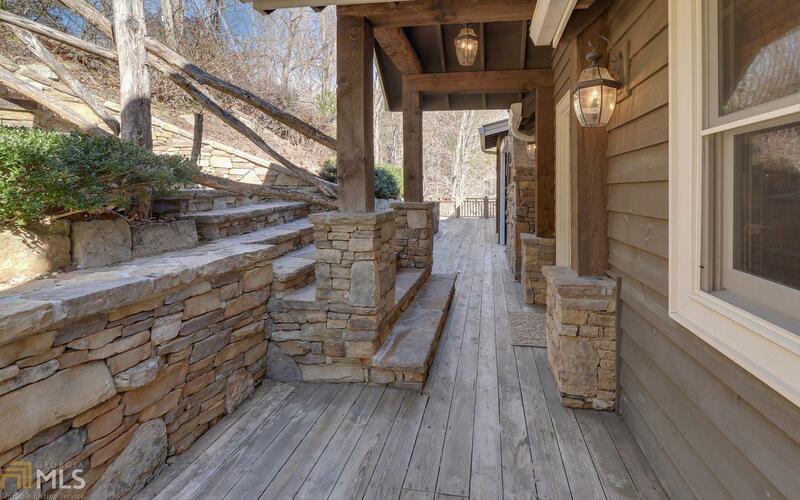 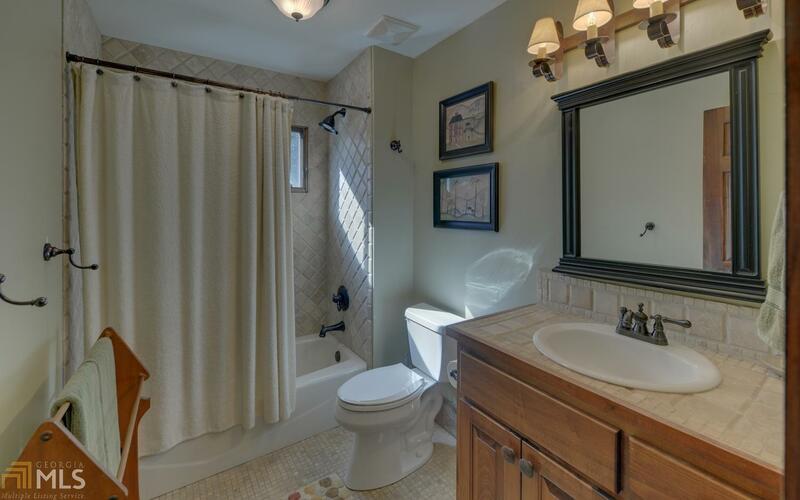 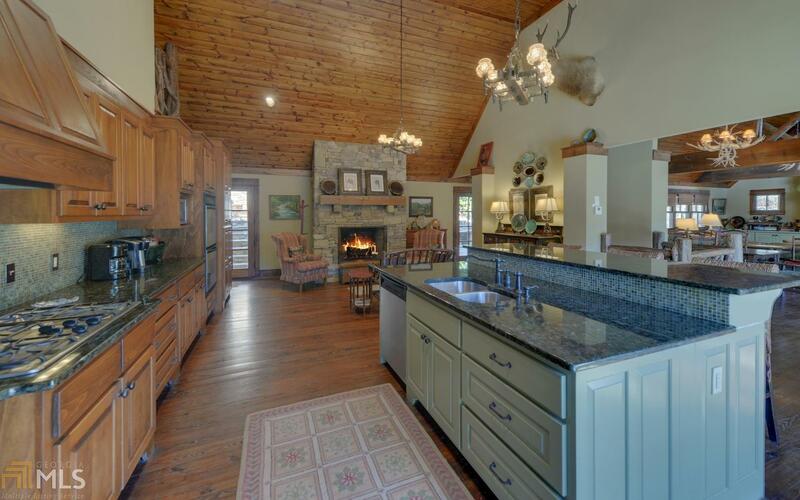 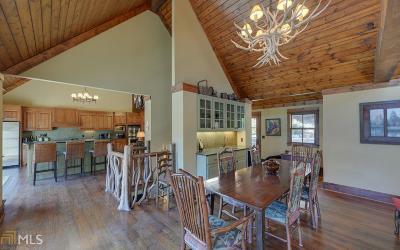 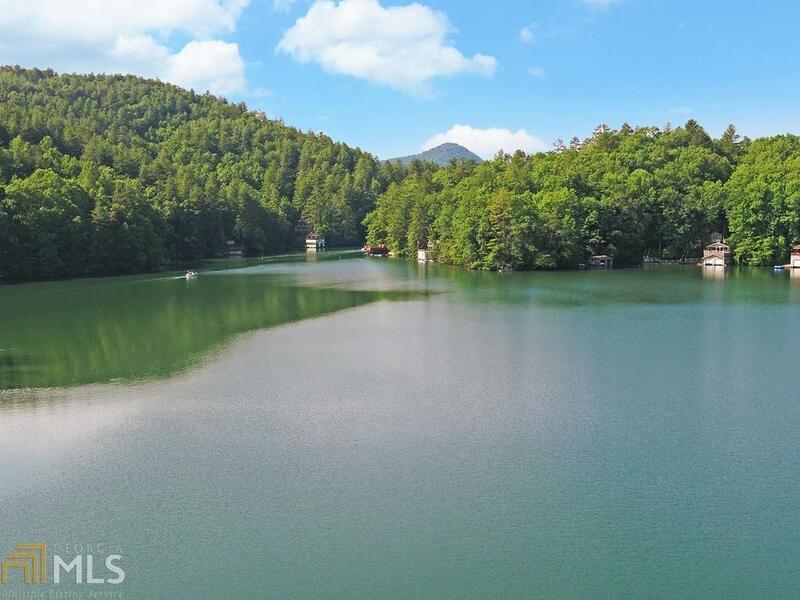 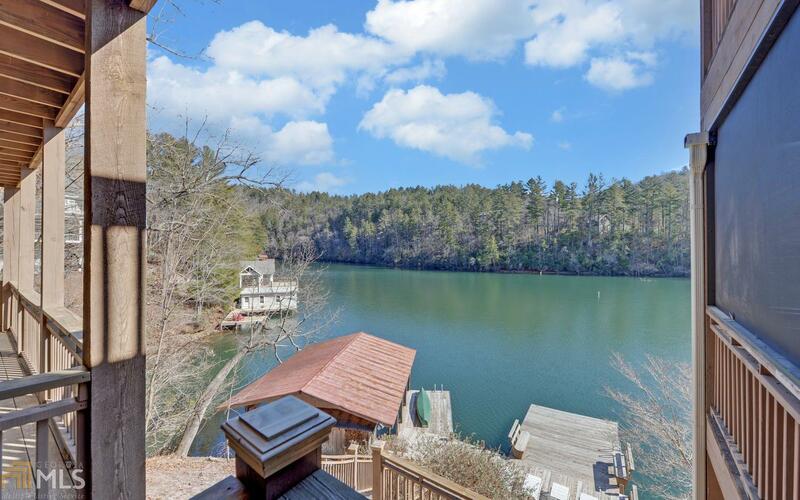 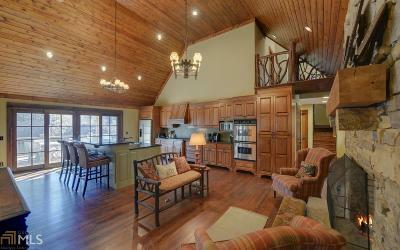 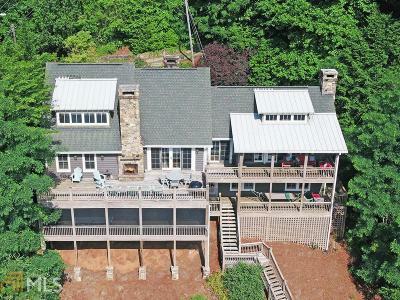 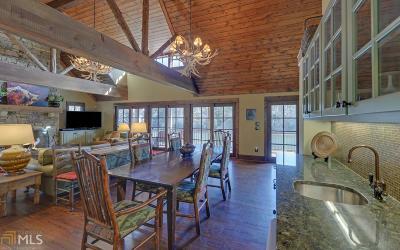 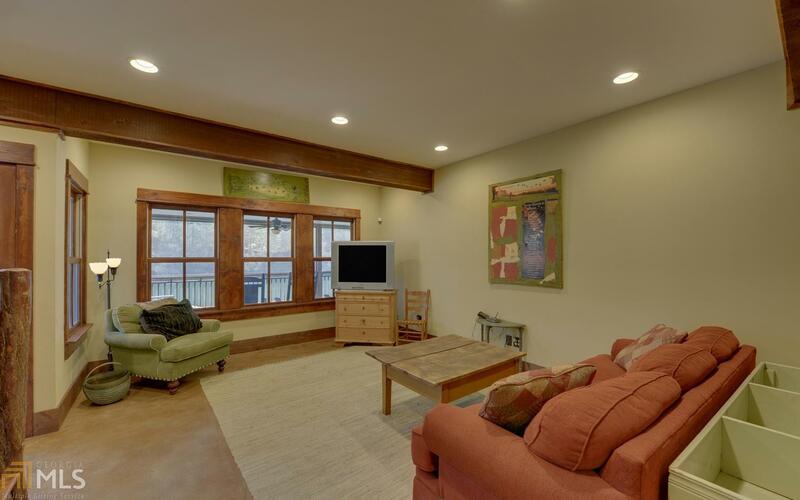 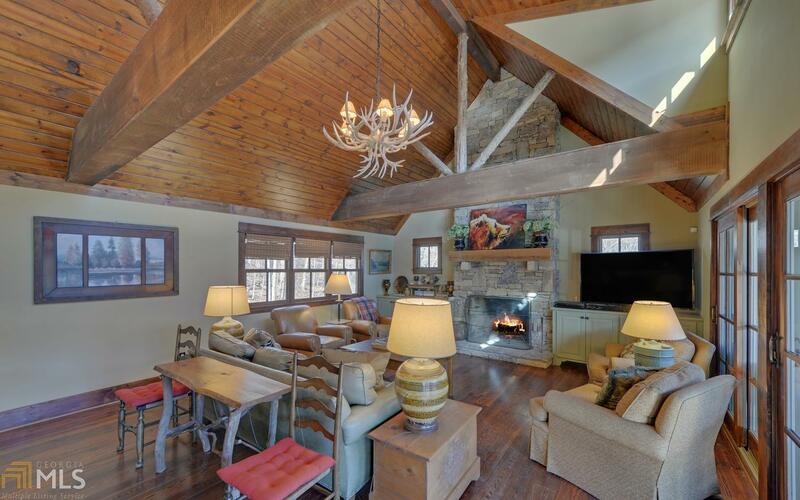 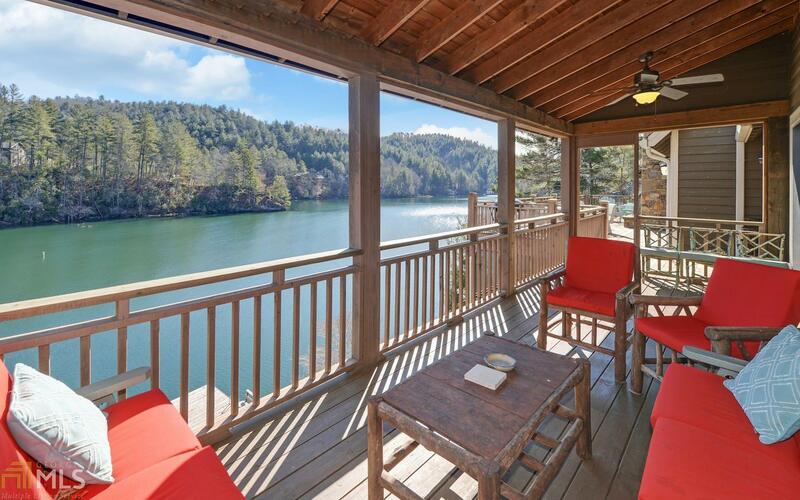 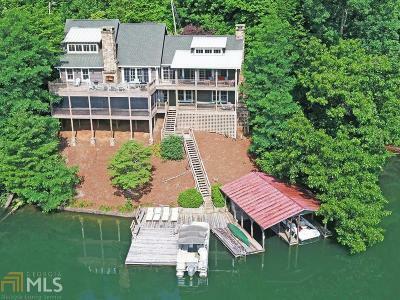 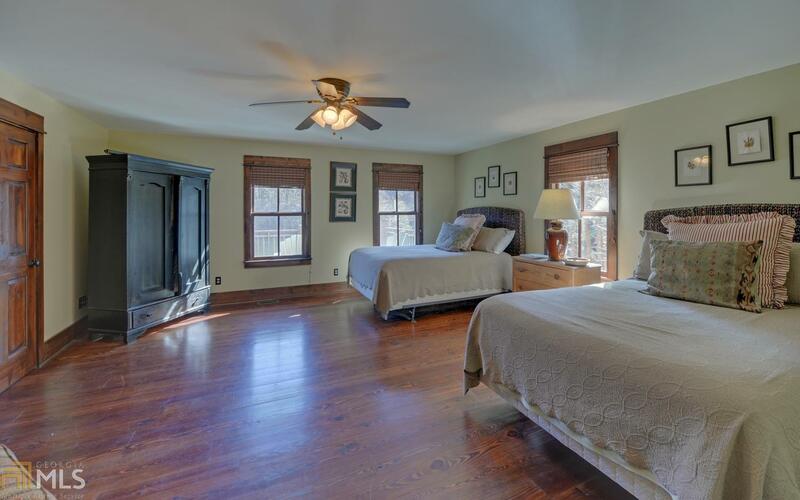 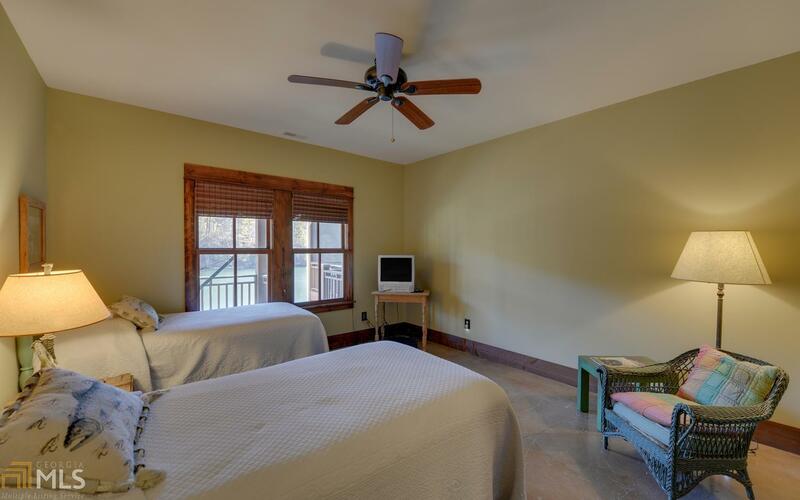 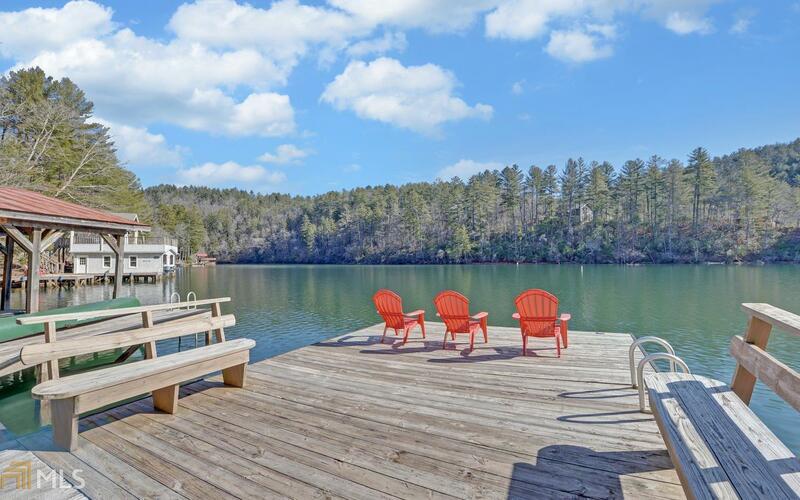 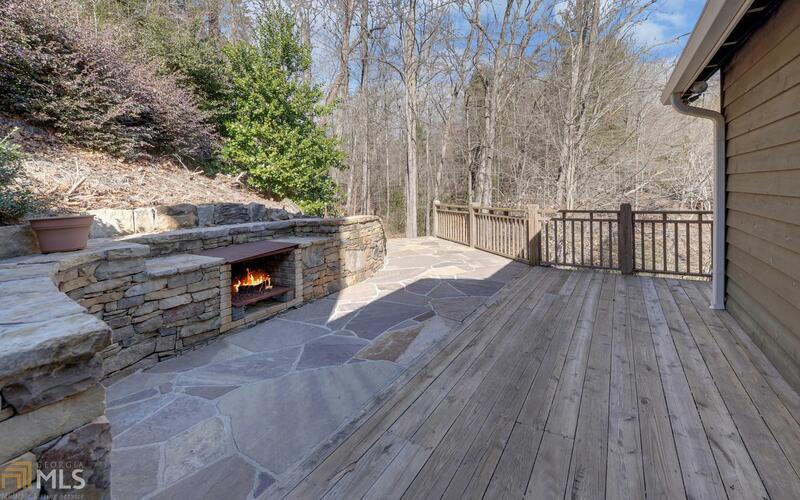 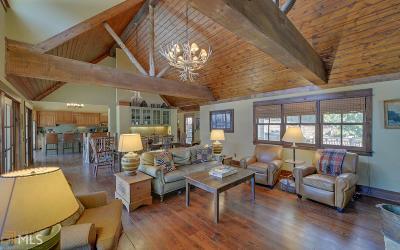 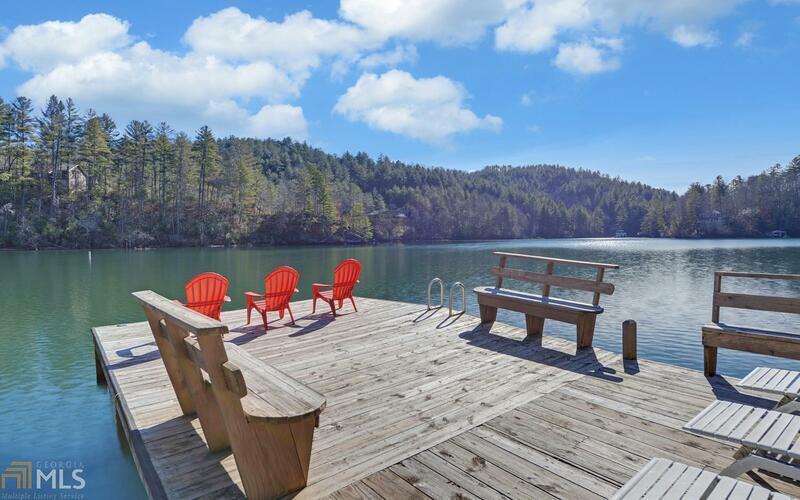 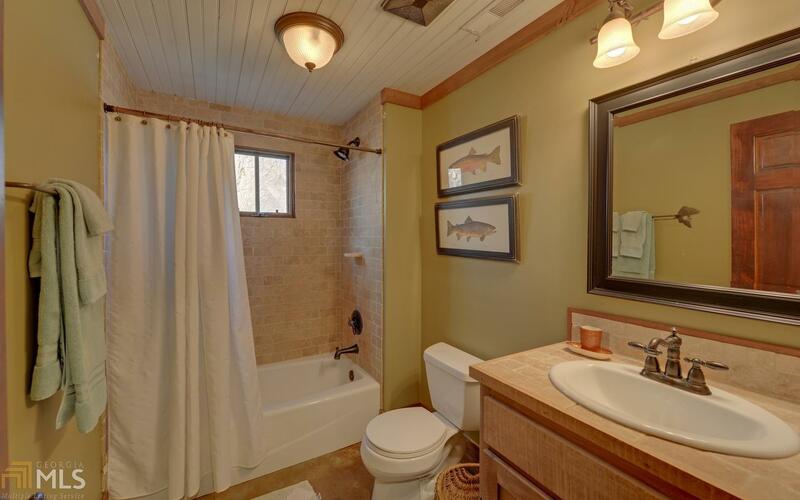 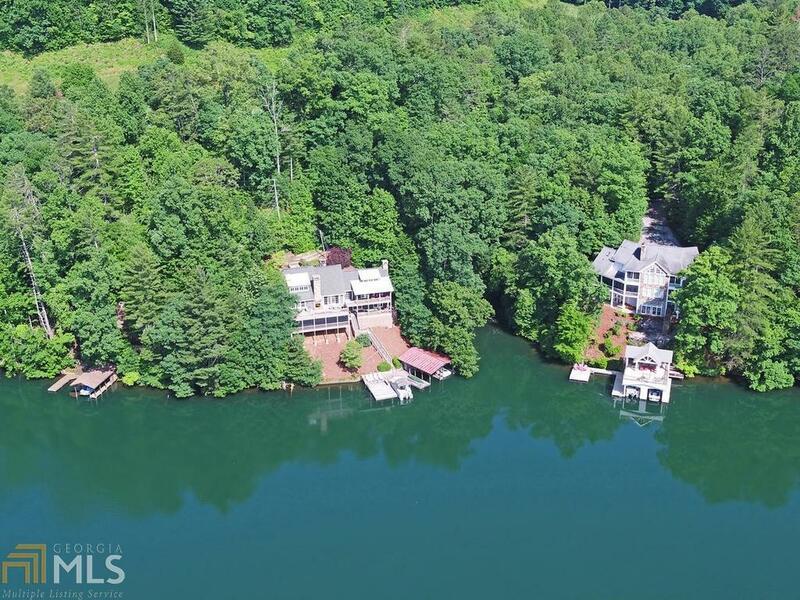 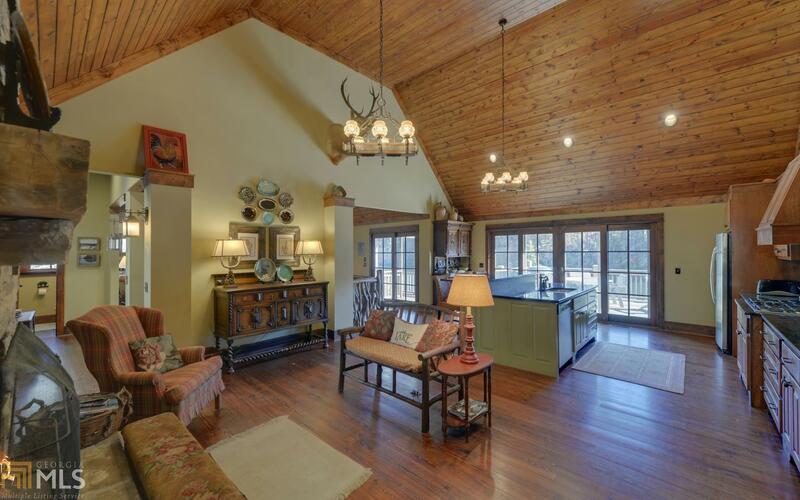 Nestled Down by the blue/green waters of Lake Burton 6B 4.5b mtn home offers the perfect escape. Spacious entertainer&apos;s kitchen with a gathering spot for friends and family with stone fire place,hardwood floors, laurel railings, vaulted beam ceilings. 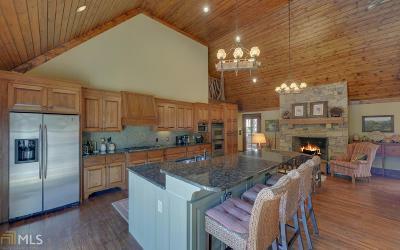 Off of the kitchen is the gorgeous dining area, wet bar and great room, magnificent stone fireplace for those cool mountain evenings. 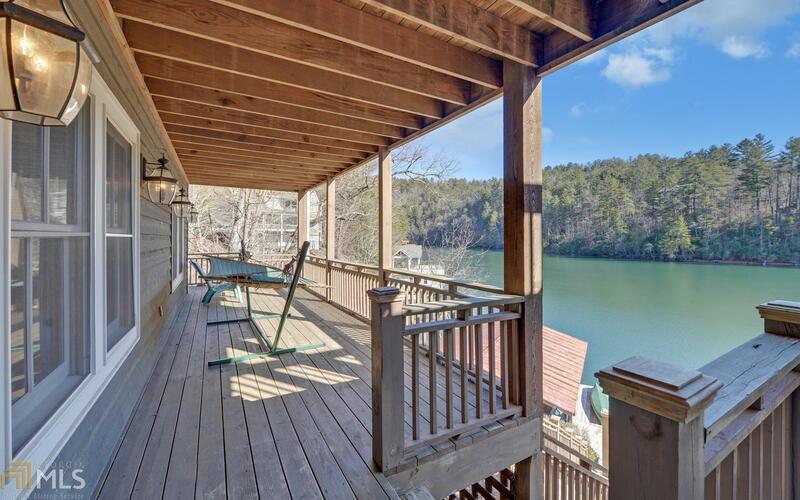 Glass doors open to a covered and open aired porch overlooking the lake. 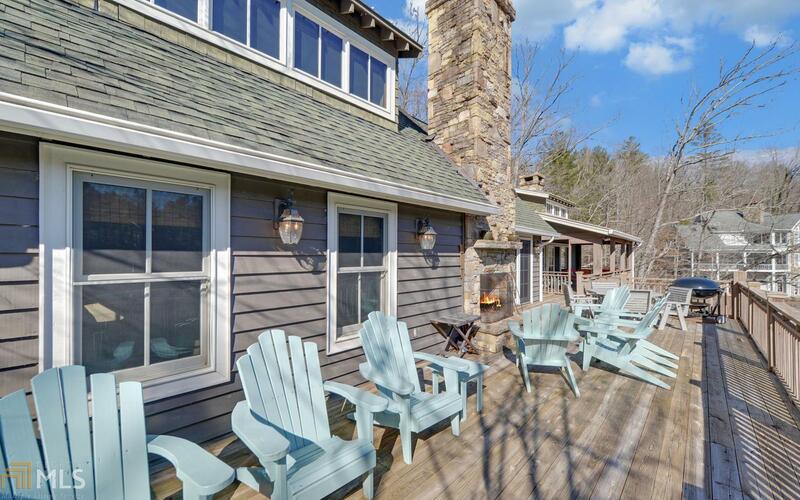 The outside fireplace is just the right spot to wind down after a fun day on the lake. 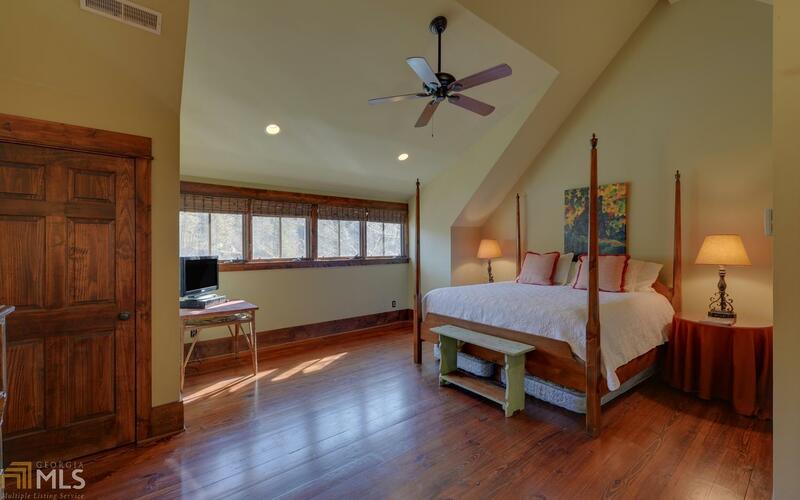 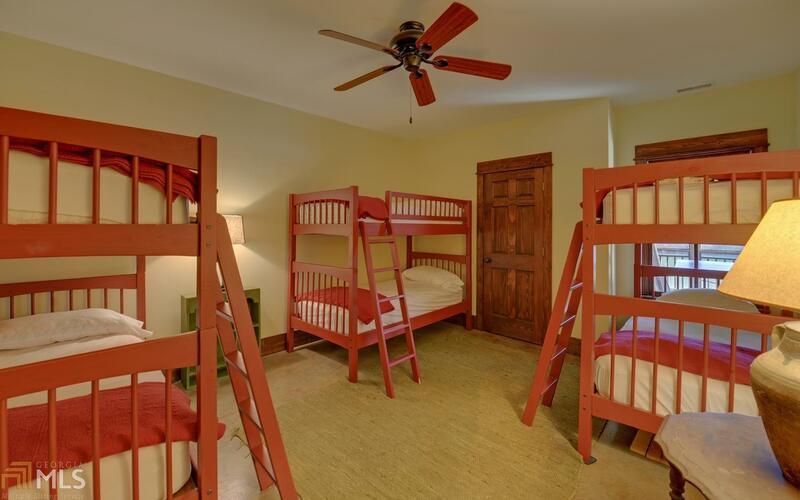 Master is on main floor and upstairs is an additional master with vaulted ceilings. 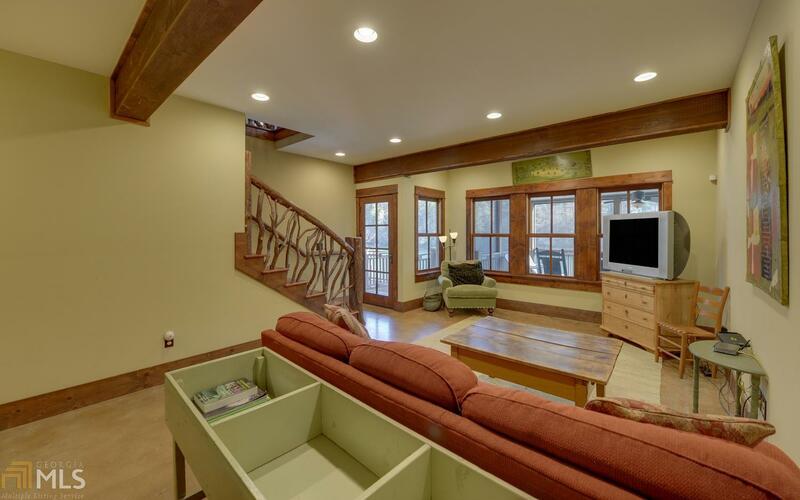 Downstairs is 4B 2b, family room and screen porch. 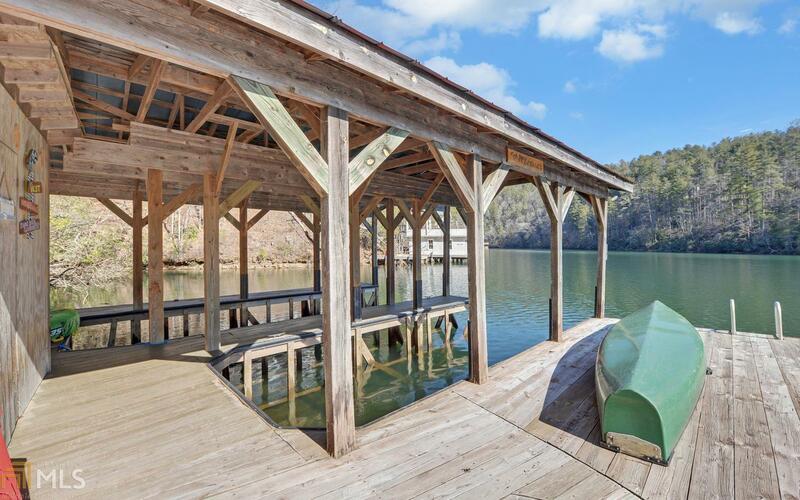 The lake front has 2 stall Boathouse and is a perfect place to swim and sun.